Not a truffle, but an Accolade! 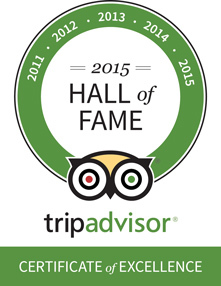 We are proud to have been included into Trip Advisor's Hall of Fame. This unique accolade is granted only to those businesses that have won the Certificate of Excellence for five years in a row..